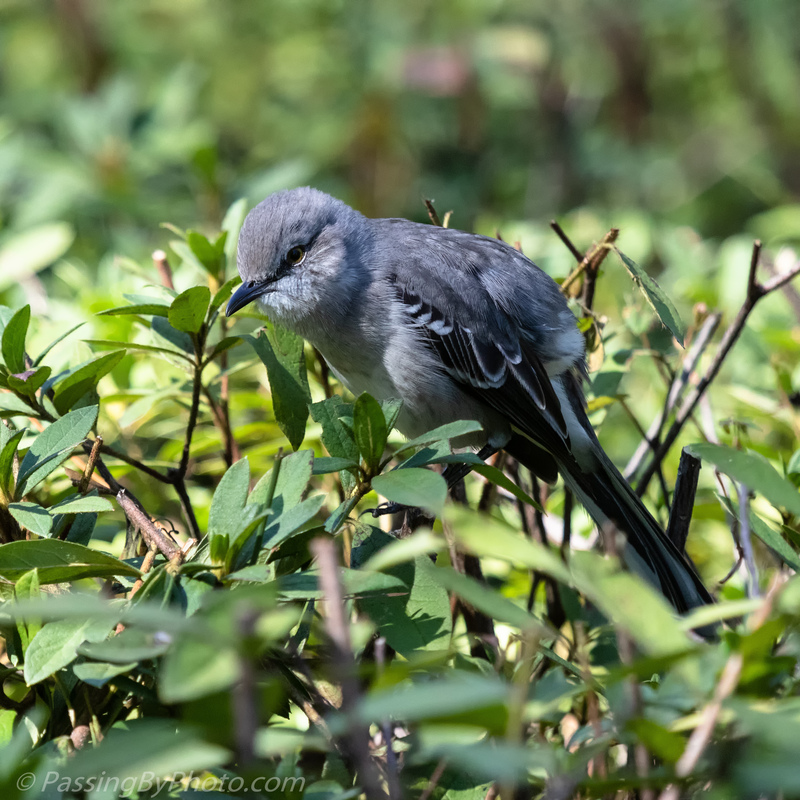 His animated behavior brought my attention to this Northern Mockingbird perched in a well clipped hedge. He seemed to have an itch and something to say. Zoom in on this first image to see the papillae or spines on the roof of his mouth, something I rarely see in my bird photographs. He was not at all concerned that I was watching. All fluffed up after his scratching episode this fellow looks like a youngster. 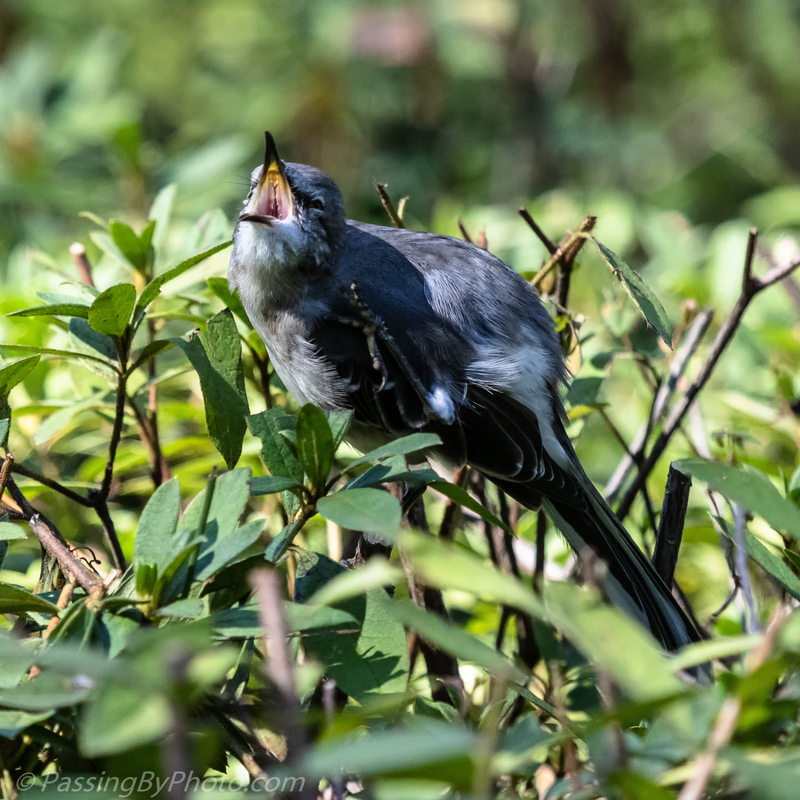 It was the last day of October and the references say Mockingbirds can have up to three broods a year. 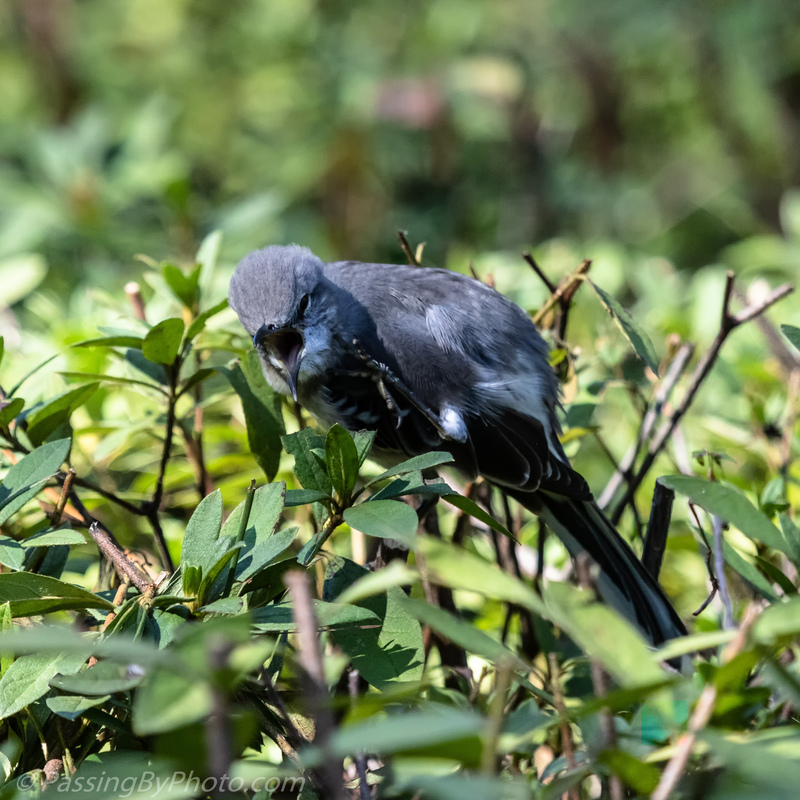 Finally, he struck a Mockingbird pose then went about his business down the hedge. Fine detail. A very attractive bird, a first for me. 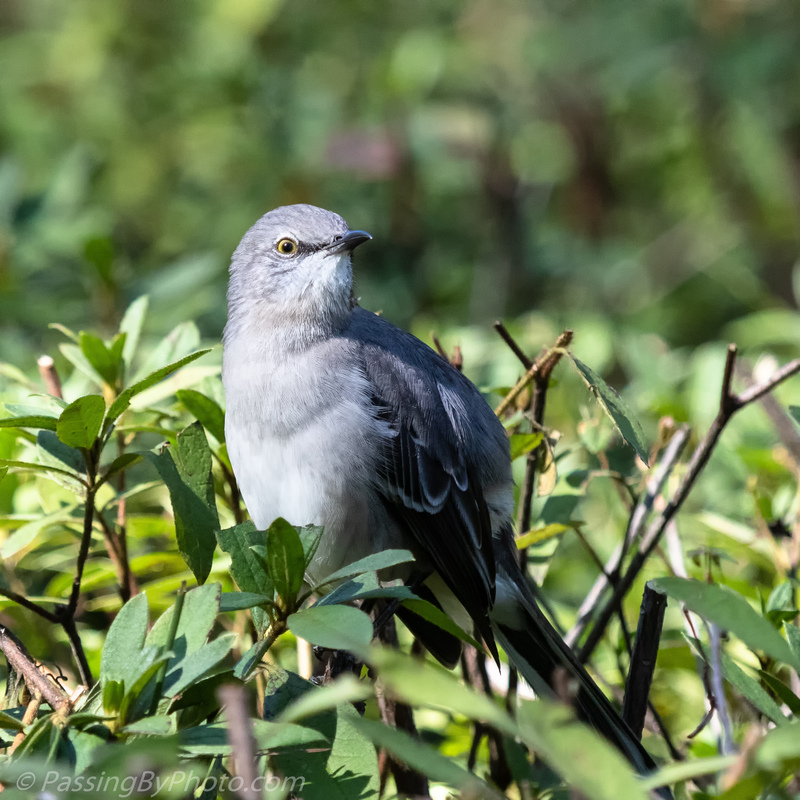 Mockingbirds are everywhere here, sort of a neighborhood bird and easy to overlook. They are also mean, often seen dive bombing other birds, outdoor cats and occasionally people when they are nesting. Thanks, Donna! I didn’t expect to see down his throat!